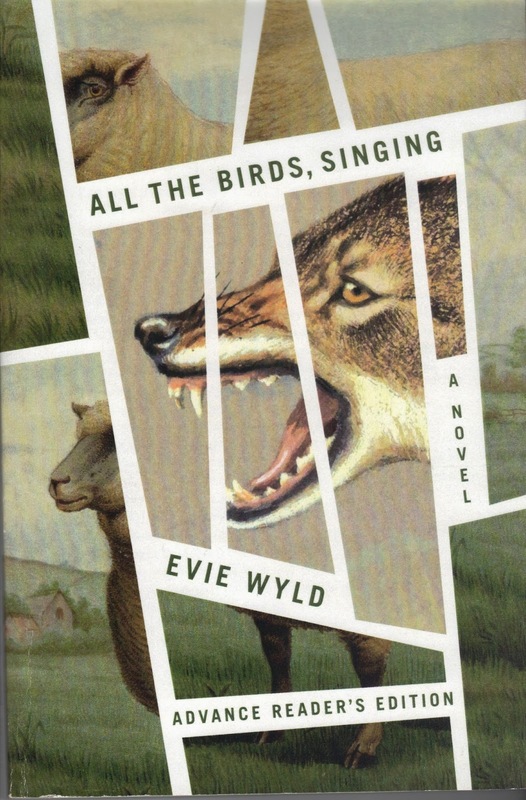 Evie Wyld’s second novel, All the Birds, Singing, reads like it is trying to be a great literary work to be studies in classroom. There is repetition of symbols, dialogue, and imagery. Over and over again. There are the birds, people moving like snakes, the rain, and the quote the human eye senses movement before all else. Wyld writes beautifully. There are passages dedicated to emotions felt by viewing the soggy scenery of the farm that the heroine Jake feels as she looks out at her sheep. The opening itself is jarring and foreboding. One of her sheep that she herds is dead; mangled and bloodied by someone or something. Half of the novel follows this timeline. Her constant stalking of her sheep to find out what is killing them. The police think she is a looney. It doesn’t help that she never goes out to the pub on her small British island that she lives on. She keeps to herself. Teenagers smoke near her property, moon her, and give her the middle finger. They’re prime suspects. Until she sees a man lurking near her small shed that she calls home. Once he arrives in the timeline – the odd numbered chapters – the story unfolds with a faster pace. While the first half of the book is pretty slow paced, it is intersected by stories from her past, told in a reverse chronological order that reveals why an Australian girl made her way to a soggy island off of England’s coast. The timeline difference isn’t much in the first chapters. It would seem confusing, actually, if one didn’t pay attention to how she describes the birds. While Jake’s present is about discovering what is attacking her sheep, this timeline is about discovering who Jake is as a person. At first these don’t seem interesting. She works on a farm in the Australian Outback with a bunch of men. Jake proves she can hang with the boys, but feels out of place. We jump forward to her time spent with Otto. We know she has escaped him, but their relationship seems murky until chapters later. Her past becomes a mystery until the final pages of the novel. Her life was harrowing and even in the present she doesn’t seem to have found peace. While the plot of All the Birds, Singing sounds dark and torturous, the story as a whole is not. As I mentioned before if feels airy in the sense that it’s written beautifully. At times it took me out of the story. There were passages that deserved editing. I wasn’t sure what the story wanted to be about right away. There was a lot of wrap my head around. This was the first novel I’ve read where I felt satisfied it was over because I didn’t have to read anymore. A different satisfaction than most people want upon completing a novel. Still, I don’t regret reading it at all. It was worth the time I spent with it, but now I’m glad that it is in my past.